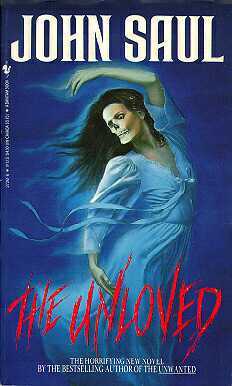 A novel of unnatural passion and supernatural terror. One hundred years ago in Port Arbello a pretty little girl began to scream. And struggle. And die. No one heard. No one saw. Just one man whose guilty heart burst in pain as he dashed himself to death in the sea. Now something peculiar is happening in Port Arbello. The Children are disappearing, one by one. An evil History is repeating itself. And one strange, terrified child has ended her silence with a scream that began a hundred years ago. The dark rapture of a medieval terror has come back to claim the young and innocent one by one . . . by one. Neilsville, 1978: Peter Balsam has come to this sleepy desert town to teach its youth, and finds a mystery of mounting horror. Something is happening to the young girls of St. Francis Xavier High School--something evil. In bloodlet and terror a suicide contagion has swept the town...while a dark order of its holy men enacts a secret medieval ritual. Is hysteria manipulating these innocent children into violent self-destruction? or has a supernatural force, a thirteenth-century madness, returned to...Punish the Sinners. And the Little Children Shall Lead Them, from Terror...to Terror...to Terror. Could such a lovely little town hold something so evil? 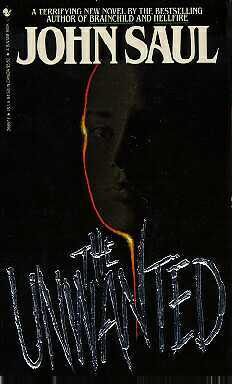 His sister is haunted by fearful visions... And one by one, in violent, mysterious ways the strangers are dying. Never the townspeople. Only the strangers. Has a dark bargain been struck between the people of Clark's Harbor and some supernatural force? Or is it the sea itself calling out for human sacrifice? A howling, deadly...Cry for the Strangers. A child cried out...in torment. In terror. From out of the past, from out of the mists, a terrible vengeance is born. The children were waiting. Waiting for centuries. Waiting for someone to hear their cries. Now nine-year-old Christie Lyons has come to live in the house on the hill—the house where no children have lived for fifty years. Now little Christie will sleep in the old-fashioned nursery on the third floor. Now Christie's terror will begin...When the Wind Blows the children must die! Something is happening to the children of Eastbury, Massachusetts...Something that causes healthy babies to turn cold in their cribs. Something that strikes at the heart of every parent's darkest fears. Something unexplained that is taking the children, one by one. Sally Montgomery has just lost her beautiful little baby girl. Lucy and Jim Corliss, bitterly divorced, have been reunited by the sudden disappearance of their son. An entire town waits on the edge of panic for the next child to be taken. They all know there must be a reason for the terror. 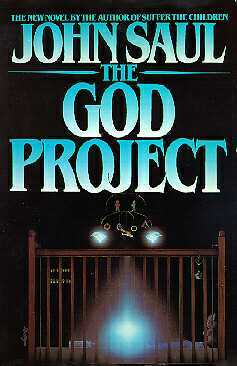 But no one ever expected...The God Project. Prairie Bend. Brilliant summers amid golden fields. Killing winters of razorlike cold. A peaceful, neighborly village, darkened by legends of death? For a hundred years, the people of Prairie Bend have whispered the name in wonder and fear. Some say he is simply a folk tale—a legend created to frighten children on cold winter nights. Some swear he is a terrifying spirit returned to avenge the past. And soon...very soon...some will come to believe that Nathaniel lives still—darkly, horrifyingly real. 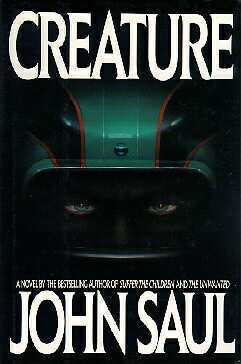 For young Michael Hall, newly arrived in isolated Prairie Bend after having lost his father to a sudden tragic accident, Nathaniel is the voice that calls him across the prairie night...the voice that draws him into the shadowy depths of the old, crumbling barn where he has been forbidden to go...the voice—chanting, compelling—he will follow faithfully beyond the edge of terror...Nathaniel. Alex Lonsdale was one of the most popular kids in La Paloma. Until the horrifying car accident. Until a brilliant doctor's medical miracle brought him back from the brink of death. Now Alex has come back. He seems the same. But in his eyes there is a terrible blankness. In his heart there is a coldness. And if his parents, his friend, his girlfriend could see inside his brain, if they could see his dreams, they would be terrified. Now the people must die. One hundred years a go in La paloma a terrible deed was done; a cry for vengeance pierced the night. In dark and secret places in La Paloma that evil lives still, that vengeance waits. Waits for Alex Lonsdale. For one hundred years the old mill has stood silent, its dread secrets locked away and barred from view. Still, the people of Westover, Massachusetts, remember—remember and whisper of that fateful day when horrifying flames claimed eleven innocent lives. The day the mill's iron doors slammed shut—forever. Now, Westover is a sleepy town tucked away beyond the Interstate, all but forgotten. Now, the last of the once-powerful Sturgess family dreams of reopening the mill. Now Philip Sturgess is about to unlock the doors to the past...and unleash an elemental fury. For beyond those doors, padlocked for so many years, deep within the dark, abandoned building, a terrible vengeance waits. Cassie has just lost her mother in a terrible accident. Now Cassie, lonely and frightened, has come across the country to live with the father she barely knows and his new family in tiny False Harbor on Cape Cod. For Cassie, the strange, unsettling dreams that come to her suddenly in the dead of night are merely the beginning. For very soon, Cassie Winslow will come to know the terrifying powers that are her gift. Lush and deceptively tranquil, with its pristine beaches and blossoming vegetation, the island basks in splendid isolation off the South Carolina coast. Here, where sudden storms unleash the murderous rage of wind and sea, stands the Devereaux mansion, a once-great plantation house now crumbling amid ancient oaks dripping with Spanish moss. Here, Marguerite Devereaux, fifty and childless, has cast off her dreams to care for her aged, demanding mother. Now, for the first time in twenty years, Kevin Devereaux has returned home to this secluded place with his wife and two children. They have come to visit Kevin's mother—hated, frightening Mother, with her slash of red lipstick, mask of bone-white powder, and a tongue that has always cut to Kevin's heart...and into his darkest nightmares. She said she was ill—but is that the real reason the old woman summoned the son she has not seen in so many years? Suddenly, horribly, Mother dies inside the locked nursery. And now there will be no escape. For now, all the secrets of this once-proud southern family emerge like tortured spirits from the sinister past to wrap their evil around the unsuspecting children. Until, in the shadowed corridors and dust-covered rooms of this decaying old house, they learn the true terror of The Unloved. To the Tanner family, Silverdale beckons as a marvelous opportunity. For here, in this serene picture-postcard-pretty town nestled high in the majestic Rockies, a job promotion awaits Blake; new friends and activities beckon Sharon. And in the windswept mountain air, their shy, nature-loving son, Mark, will have the ideal opportunity to overcome the physical frailty an illness has caused. Silverdale. It is the perfect town. Even Silverdale High School seems perfect--a model school where well-behaved students make their parents and teachers proud. And the football team never—ever—loses. Soon—perhaps too late—Sharon Tanner will realize that beneath Silverdale's perfect facade a terrible presence watches...and waits. Through sleepless, fear-racked nights she will listen to an eerie cry of unfathomable rage and pain. A wail so horrifyingly unearthly it could belong to no living thing, animal or human, she has ever known. And then, with crushing suddenness, Sharon will know—know that within Silverdale, perhaps within her own home, a monstrous evil is harbored, and evil so unspeakable it has no name except...Creature. Secret Cove. Ruggedly beautiful and remote, bordered by dark woods and deserted beaches, this postcard-perfect village harbors the mansions of the wealthy—families who have summered in splendid seclusion at Secret Cove for generations. Here, one hundred years ago, on the night of the annual August Moon Ball, a shy and lovely servant girl committed a single, unspeakable act of violence—an act so shocking its legacy lives still. And now, long after the horror of that night has faded to a tale whispered by children around summer camp fires, an unholy terror is about to be reborn. Now, one family is about to feel the icy hand of supernatural fear—as Melissa Holloway, shy and troubled and just thirteen years old, comes to know the blood-drenched secret that waits behind a locked attic door... For in the dead of night a Secret Cove sleeps unaware, a soul-chilling presence slowly begins to enact a terrifying vengeance. 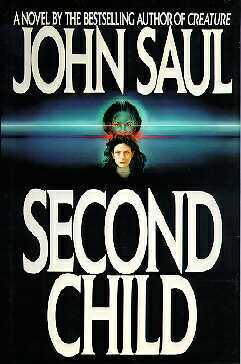 Second Child: It is unspeakable evil merely Melissa's nightmares made horrifyingly real? Is it the manifestation of deadly fury risen from the grave? Or is the heart-stopping horror soon to be unleased in Secret Cove something even more insidious--something unimaginably evil...and alive? Borrego, New Mexico. A peaceful little desert town. Except for one thing. Somebody here hates teenagers. Hates them. These troublemakers, these rebels, have to be controlled. The Andersons left the town at the edge of the swamp long ago, never meaning to return. There was something not quite right about the vast cruel lowlands of Villejeune...something murky, menacing, hostile...an influence too malevolent to be natural. But the Andersons' dream of a new life in Atlanta faded away with Ted's lost job and sixteen-year-old Kelly's emotional problems. Now, hoping a change of scenery might help their troubled daughter put her life back together, Ted and Mary Anderson have decided to come home. Home to Villejeune. But something waits for them. They call it The Academy. Housed in a secluded, cliff-top mansion overlooking the rugged and picturesque Pacific coast, it is a school for special children. Children gifted—or cursed—with extraordinary minds. Children soon to come under the influence of an intelligence even more brilliant than their own—and unspeakably evil. For within this mind a dark, ingenious plan is taking form. A hellish experiment meant to probe the ultimate limits of the human brain. Computer whiz kid Adam Aldrich lives for his exploration of virtual reality. Lured ever deeper into his video fantasy world, he does not imagine that his reality will soon become a living nightmare. Until the moment he sees the blinding light. Adam's fate will be called a tragic midnight accident. But is it something far worse? Amy Carlson, serious and shy, is fascinated by human behavior. But when she volunteers for an experiment in choice making, she unknowingly narrows her own options. When Amy's fate is sealed, will it be suicide—or murder? For Josh MacCallum, brilliant but lonely, Amy's cry for help leads to a frightening knowledge. Soon Josh will suspect that Amy's desperate plea comes from the depths of darkness, from a blackness so horrifying that not even he with his genius-lever IQ could envision it. Soon Josh will uncover the terrifying truth about The Academy. A telephone ringing in the dead of night signals the beginning of a journey into fear as Mary Anne Carpenter, newly separated and struggling to raise her two children alone, hears the shocking news: two thousand miles away, her friends, the Wilkensons, are suddenly, inexplicably dead, their only child, Mary Anne's godchild, abruptly orphaned. Even as Mary Anne rushes to embrace her young charge the disturbing questions mount. Was it merely a chance—though tragic—mishap that took these lives? Or was it murder? Soon Mary Anne will begin to suspect an even more sinister force at work. For Joey Wilkenson, a sad and silent adolescent, seems to harbor secrets beyond her most nightmarish imaginings. Soon, as early winter closes in on the majestic, lonely spot where the Wilkensons have built their beautiful ranch, transforming the mountain landscape into a forbidding place of blinding storms and dangerous darkness, Joey's sly secretiveness, his volatile temper, begin to turn Mary Anne's tender feelings to icy fear. And soon, as a series of horrific murders draws ever closer to her young family—killings that suggest some raging animal, or worse, and defy solution by a desperate police force—Mary Anne begins to know the true meaning of terror. It will be the sweetest kind of homecoming for Karen Spellman. After years of living in Los Angeles, the pretty, young widow and her two daughters are leaving urban chaos behind to return to the lush countryside of Karen's childhood: Pleasant Valley, a verdant, fertile place where Karen will rediscover not only the bounty of the land, but love. For Karen is going home to marry her high school sweetheart. But something sinister awaits the Spellmans. Something as primal as nature itself. Something so hideous it seems not earthly, but spawned in hell. For here, long ago, amid placid rolling fields, a shadowy menace once stalked the innocent. Dormant, it waits or summer's heat to shimmer over the valley in a suffocating wave, waits for the arrival of its perfect victim. 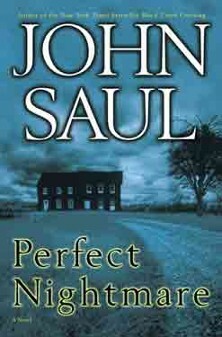 John Saul weaves a dark web of psychological suspense and all-consuming evil in a novel as richly atmospheric, as riveting and chilling, as any he has ever produced. 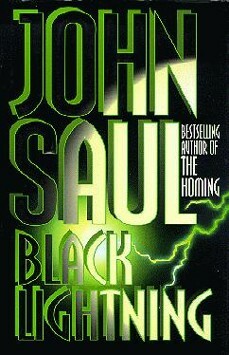 For five years Seattle was seized in the terrifying grip of a monster as black as evil itself. A sadistic serial killer methodically lured his victims to grisly deaths in order to satisfy a twisted passion for life, leaving a trail of mutilated bodies across the nation. For five years journalist Anne Jeffers stuck to this gruesome story like a shadow through the killer's capture, trial and appeal doggedly keeping the wheels of justice churning toward the electric chair, despite the prisoner's reasoned claims of innocence. Then came the day of execution. The police and the public, especially Anne, thought the five-year nightmare was over. 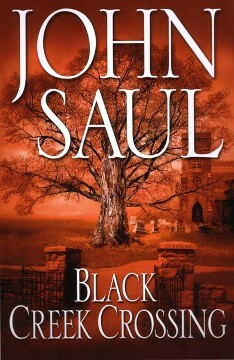 In Black Lightning, John Saul strikes with a novel as electrifying as a jagged bolt from a pitch-dark sky, proving once again that he is a genius at both nail-biting suspense and the spine-tingling macabre. From the top of Blackstone's highest hill the old Blackstone Asylum casts its shadow over the village. Built in the 1890s, the Asylum has stood vacant for decades. But now, the wrecker's ball is about to strike, smashing into stone--and unleashing a terrible evil, an unholy fear long locked within these walls. Soon, strange gifts will begin to appear on the doorsteps of Blackstone's finest citizens. Each bears a mysterious history. Each brings a horrifying power to harm. Each reveals another thread in the suspensefully woven web of The Blackstone Chronicles. A strange archaeological discovery. Secret medical experiments on an island paradise. A scientific theory torn from today's headlines. Beyond the sparkling Hawaiian beaches, masked by the deceptive beauty of the rainforest, evil awaits sixteen-year-old Michael Sundquist and his mother, Katharine, an anthropologist who has come to the Islands to study the unusal skeletal remains unearthed on the volcanic flanks of Haleakala, Maui. MANHATTAN HUNT CLUB You are invited you to descend to chilling new depths of darkness-and discover a secret, savage world that exists beneath our very feet. The promising future of New York City college student Jeff Converse has suddenly been shattered by a nightmarish turn of events. Falsely convicted of a brutal crime, Jeff sees his life vanishing before his eyes. But someone has other plans for Jeff, in a far deadlier place than any penitentiary. He finds himself beneath the teeming streets of Manhattan, in a hidden landscape of twisting tunnels and forgotten subterranean chambers. Here, an invisible population of the homeless, the desperate, and the mad has carved out its own shadow society. But they are not alone. The pitch-dark tunnels and abandoned subway stations are haunted by the unmistakable sounds of predators in search of game. Someone has made this forsaken civilization beneath the city a private killing ground…and the hunt is on. Trapped in a treacherous underground maze, cut off at every turn by ragged gangs of sinister "gamekeepers," and stalked relentlessly by unseen hunters, Jeff faces overwhelming odds in the race to reach salvation and elude capture. With no weapon but his wits, and an unimaginable threat lurking around every dark corner, Jeff must somehow move heaven and earth to escape from a living hell. 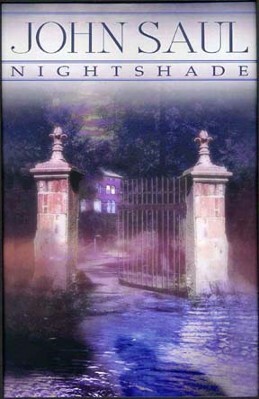 Nightshade is the terrifying story of an innocent teenager who must confront the sins of the past-and a corrupting evil that threatens to consume his entire world.... Fifteen-year-old Matthew Moore seems to have it all: a loving mother, Joan; a caring stepfather, Bill, who treats Matt like has own son; residence at a sprawling estate in New Hampshire; and a growing relationship with the most beautiful girl at school. All signs point to a bright future. Until fate intervenes. A sudden fire leaves Matt's ailing grandmother homeless. After moving in with the family, the caustic Emily insists on re-creating the bedroom of her deceased daughter, the favored child who died tragically more than a decade ago. Joan and her older sister had always shared an uneasy bond-and a shameful secret that would forever join them...even from beyond the grave. Then Matt's life insidiously begins to change. He starts to smell his aunt's pungent perfume, so strong and immediate that it is as if she has returned from the dead. At night, he finds himself haunted by nightmares of unimaginable terror. While his grandmother drives a wedge between his once devoted parents, Matt transforms from a gregarious teenager to a hostile one, tortured by chilling memories and prone to fits of rage. Then a shocking tragedy shatters the family beyond repair, propelling Joan and Emily into a final, explosive confrontation...a showdown in which old wounds will be viciously torn open-and a horrific shadow from the past will spring an implacable life of its own, clawing toward Matt with the ferocious inevitability of death itself. 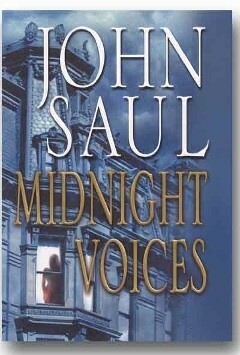 MIDNIGHT VOICES What if insidious evil flourished in the one place where you feel most safe? 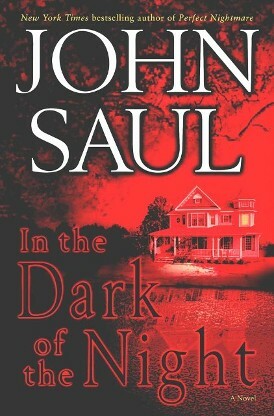 The chilling answers comes fro New York Times bestselling master of suspense John Saul-in a new novel that reminds you there is no place like home…for sheer terror. The sudden, tragic death of her husband leaves Caroline van alone in New York City to raise an eleven-year-old son and a twelve-year-old daughter on little money and even less hope. But then she meets and marries handsome, successful Anthony Fleming, who wins her heart and embraces her children. When Caroline settles her family into Anthony's spacious apartment on Manhattan's Central Park West, her fears of an uncertain future give way to a sense of abundant happiness. But soon, new terrors will come home to roost. In the luxurious, exclusive building named The Rockwell. Midnight voices whisper of a cruel and hungry presence that also calls the Rockwell home. 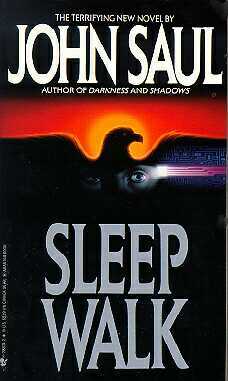 First Caroline's daughter begins to suffer from recurring nightmares of strangers in her room at night. 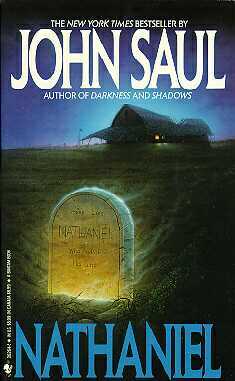 Then her son insists that a neighbor's recently deceased child isn't dead at all-but being held captive somewhere in The Rockwell. And when Caroline discovers a startling secret about Anthony's past, it seems she, too, is falling victim to the creeping paranoia infecting her family. Should she doubt her perfect husband, their kindly fellow tenants, or her own sanity? Does someone-or something-in her new home have sinister designs on the Caroline and her children? Is her new life charmed or cursed? 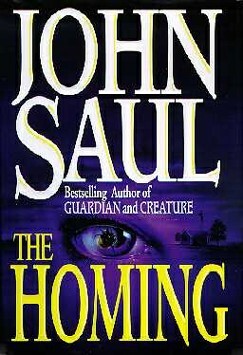 Ste; across the threshold of The Rockwell-and into the dark realm of John Saul…in a spine tingling novel that will haunt you wherever you live. Black Creek Crossing The dark history and dire secrets of a peaceful small town are summoned from the shadows of the past. Unholy forces are stirred from long slumber to monstrous new life. 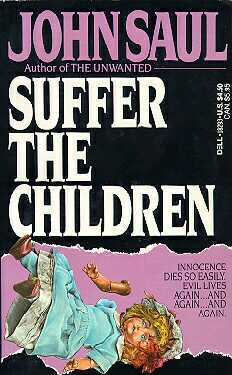 And two young misfits discover the chilling art of turning persecution into retribution. 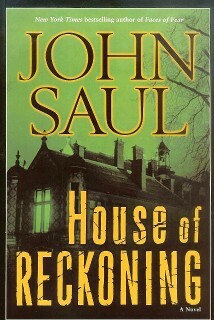 With these eerie ingredients, bestselling master John Saul once again works his unique brand of sinister magic to conjure an unforgettable tale of unspeakable terror. 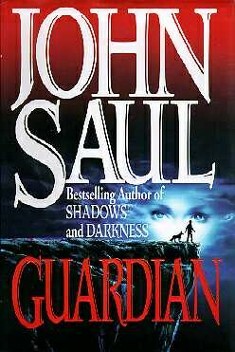 For most of her young life, fifteen-year-old Angel Sullivan has been on the outside looking in, enduring the taunts of cruel schoolmates and the angry abuse of a bitter father. Then Angel’s family moves to the quaint town of Roundtree, Massachusetts—where a charming home is available, a promising job awaits Angel’s unemployed father, and most of all, the chance to make a brand-new start beckons to the shy, hopeful teenager. 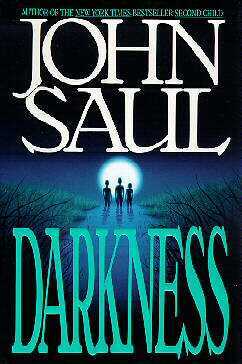 But when she is shunned by her new classmates, Angel falls deeper into despair. Until she meets Seth Baker, a fellow outcast—and a fateful kinship is forged. It’s Seth who tells Angel about the legacy of murder that hangs over her family’s home—and the whispered rumors that something supernatural still dwells there. Uncertain whether the stories are true, and desperate to escape the torment of their daily lives, Angel and Seth devote themselves to contacting whatever restless soul haunts the dark recesses of Black Creek Crossing. But once they have begun, there is no turning back. Guided by an anguished and vengeful spirit, they uncover the shocking events and centuries-old horrors, that lay buried beneath the placid veneer of Roundtree. And along with the ghastly revelations comes a terrifying power—one that feeds upon the rage of the victimized, turning the basest impulses and most dangerous desires into devastating weapons,. Now, the closer Angel and Seth are pushed toward the edge by their tormentors, the deeper they descend into the maelstrom of dark forces they’ve unleashed…and the more unspeakable the hour of reckoning will be. If you open your house to strangers, who knows who might come in? And what they might be after? Or who? 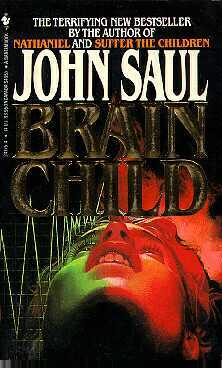 Now, ponder the unthinkable, and surrender to your darkest dread, as sinister storyteller extraordinaire John Saul weaves a heart-stopping tale of lurking terror and twisted intent. Every parent's nightmare becomes reality for Kara Marshall when her daughter, Lindsay, vanishes from her bedroom during the night. The police suspect the girl is just another moody teenage runaway, angry over leaving her school and friends behind because her family is moving. But Lindsay's recent eerie claim-that someone invaded her room when the house was opened to prospective buyers-drives Kara to fear the worst: a nameless, faceless stalker has walked the halls of her home in search of more than a place to live. Patrick Shields recognizes Kara's pain-and carries plenty of his own since he lost his wife and two children in a devastating house-fire. But more than grief draws them together. Patrick, too, senses the hand of a malevolent stranger in his tragedy. And as more people go missing from houses up for sale, Patrick's suspicion, like Kara's, blooms into horrified certainty. Someone is trolling this peaceful community-undetected and undeterred-harvesting victims for a purpose no sane mind can fathom. Someone Kara and Patrick, alone and desperate, are determined to unmask. Someone who is even now watching, plotting, keeping a demented diary of unspeakable deeds . . . and waiting until the time is ripe for another fateful visit. 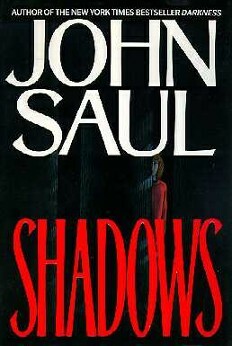 IN THE DARK OF THE NIGHT Summer vacation becomes a season in hell for an ordinary family who unwittingly stir something invisible, insidious, and insatiable from its secret slumber-unleashing a wave of horror only the darkest evil could create, that only a master of spine-tingling terror like John Saul could orchestrate. For deep in the shadows in the dark of the night lurks something as big as life . . . and as real as death. It has waited seven years for someone to come back to the rambling lakeside house called Pinecrest, which has stood empty since its last owner went missing. For upscale Chicago couple Dan and Merrill Brewster, the old midwestern manse is an ideal retreat, and for their kids, Eric and Marci, it's the perfect place to spend a lazy summer exploring. Which is how Eric and his teenage friends discover the curious cache of discarded objects stowed in a hidden room of Pinecrest's carriage house. The bladeless hacksaws, shadeless lamps, tables with missing legs, headless axe handle, and other unremarkable items add up to a pile of junk. Yet someone took the trouble to inventory each worthless relic in a cryptic ledger. It has all the makings of a great mystery-whispering, coaxing, demanding to be solved. But the more the boys devote themselves to restoring the forgotten possessions and piecing together the puzzle behind them, the more their fascination deepens into obsession. Soon their days are consumed with tending the strange, secret collection-while their nights become plagued by ever more ghastly dreams, nightmares that soon seep into reality. And when a horrifying discovery surfaces, so does the chilling truth-about the terrifying events that rocked the town seven years before, the mysterious disappearance of Pinecrest's last resident, and a twisted legacy with a malevolent life of its own . . . and a bottomless hunger for new victims. 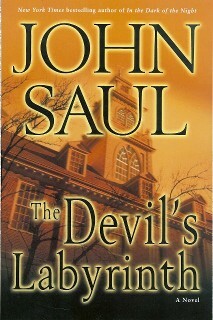 After his father's untimely death sends fifteen-year-old Ryan McIntyre into an emotional tailspin, his mother enrolls him in St. Isaac's Catholic boarding school, hoping the venerable institution with a reputation for transforming wayward teens can work its magic on her son. 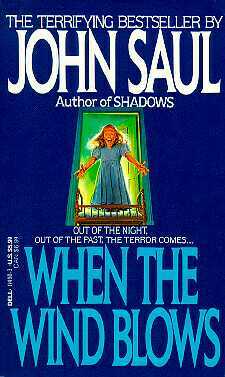 But troubles are not unknown even at St. Isaac, where Ryan arrives to find the school awash in news of one student's violent death, another's mysterious disappearance, and growing incidents of disturbing behavior within the hallowed halls. 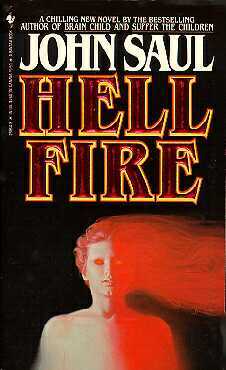 Things begin to change when Father Sebastian joins the faculty. Armed with unprecedented knowledge and uncanny skills acquired through years of secret study, the young priest has been dispatched on an extraordinary and controversial mission: to prove the power of one of the Church's most arcane sacred rituals, exorcism. 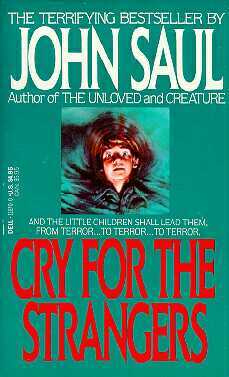 Willing or not, St. Isaac's most troubled students will be pawns in Father Sebastian's one-man war against evil-a war so surprisingly effective that the pope himself takes notice of the seemingly miraculous events unfolding an ocean away. But Ryan, drawn ever more deeply into Father Sebastian's ministrations, sees-and knows-otherwise. As he witnesses with mounting dread the transformations of his fellow pupils, his certainty grows that forces of darkness, not divinity, are at work. 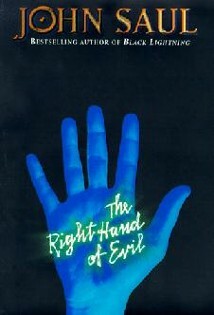 Evil is not being cast out . . . something else is being called forth. Something that hasn't stirred since the Inquisition's reign of terror. Something nurtured through the ages to do its vengeful masters' unholy bidding. Something whose hour has finally come to bring hell unto earth. Beauty may be only skin deep, but to the denizens of Beverly Hills and Bel Air, it means the world. Fifteen-year-old Alison Shaw may not be beautiful, but she doesn't really care: she'd much rather read a good book than primp in front of a mirror anyway. But Alison's mother, Risa, knows that beauty can be a key to success, and she wishes only the best for her daughter. Be careful what you wish for. 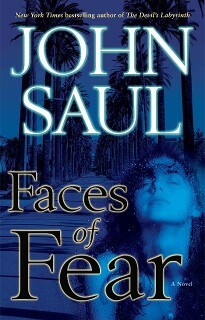 When Risa marries a widowed plastic surgeon and moves Alison from Santa Monica to Bel Air, everything changes; everywhere mother and daughter look, their new world is filled with beautiful people, many of whom have benefited from the skills of Alison's new stepfather, the charismatic Conrad Dunn, who is certain he can turn Alison into a vision of beauty. Risa is delighted by Conrad's assurances-and drawn to his cool confidence and deep-set eyes. Reluctantly, Alison agrees to undergo the first procedure, and her transformation begins. 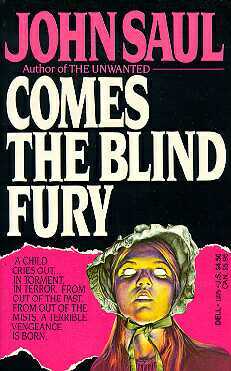 But soon Alison discovers a picture of Conrad's first wife, who killed herself after being disfigured in a car accident. To Alison's horror, she notices a resemblance between the image in the photo and the work her stepfather is doing on her. Though Risa refuses to acknowledge the strange similarity, Alison becomes increasingly frightened. Digging further into her stepfather's murky past, Alison uncovers dark secrets-and even darker motives-involving a string of grim murders that began even before she was born. And when at last she catches sight of what she will soon be seeing in her own mirror, she knows her worst fears are fast becoming her reality. After the untimely death of her mother while she is still in her early teens, Sarah Crane is forced to grow up quickly-in order to help tend her family's Vermont farm and look after her grieving father, who's drowning his sorrow in alcohol. But their quiet life together is shattered when her father is jailed for killing another man in a barroom brawl, and injuring Sarah in a drunken car crash. Left in the cold care of a loveless foster family and alienated at school, Sarah finds a kindred spirit in classmate Nick Dunnigan, a former mental patient still plagued by voices and visions. And in eccentric art instructor Bettina Phillips, she finds a mentor eager to nurture her talent for painting. But within the walls of Bettina's ancestral home, the mansion called Shutters, Sarah finds something altogether different and disturbing. Monstrous images from the house's dark history seem to flow unbidden from her paintbrush-images echoed by Nick's chilling hallucinations. Trapped for ages in the shadowy rooms of Shutters, the violence and fury of long-dead generations has finally found a gateway from the grave into the world of the living. And Sarah and Nick have found a power they never had: to take control, and take revenge. .